Our 35 acre farm is located in Huron County, Ohio. The property was once the original homestead for a 500+ acre working farm. There is a long history of farming at the property going back to the early settlers of Clarksfield Township in the 1800's. Produce crops, dairy cows, hogs, cattle, chickens and horses were raised here. It was one of the first sustainable farms in the country. The farm has very fertile soil from previous years of animal grazing. The land had not been farmed for decades when it was purchased in 2001. It is very rich in compost, tiled and full of nutrients. 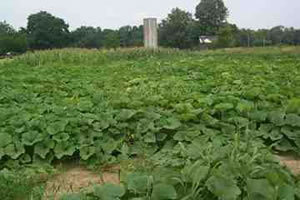 There are 29 acres of tillable land and pastures of which two to five acres are used for vegetable crops. The vegetables are organically grown. 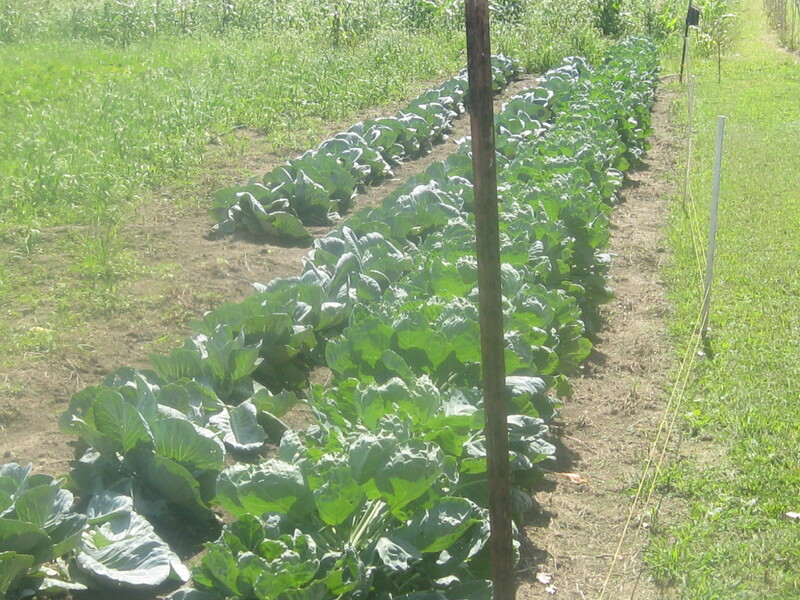 We use raised beds, plastic mulch and drip tape for irrigation. We raise approximately 250 egg laying chickens on pasture. They are free to roam as they please. We raise Americaunas, Buckeyes, Dominiques, Salmon Faverelles, Welsummers, Cuckoo Marans and others. We sell the eggs at the farmer's markets, to private customers and through our CSA. Free range broiler chickens are raised in a separate pastured area and the chicks, Freedom Rangers, come from a breeder in PA. 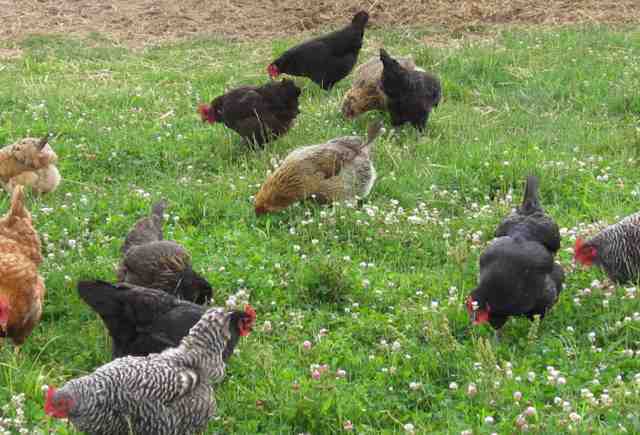 This variety is highly adapted to walking over grass unlike the Cornish Cross chickens that most large operations raise. The Freedom Ranger breed has a much better flavor, free from any chlorine or harsh chemicals the large processors may use. If you are interested in purchasing broiler chickens, please send us an email. Our flock of Navajo-Churro sheep are raised on pasture and sheared twice a year for their wool. The wool is then sold to local spinners and fiber artists. Click here to inquire about purchasing fleece/raw Churro wool. Guinea hens are raised for their eggs, (smaller and sweeter than chicken eggs), and for their excellent watch dog abilities. We love watching the guineas scurrying across the yard into the fields and pastures. They get along great with the chickens and stay in the same coops with them. Guinea hens enjoy eating bugs and help keep the pest populations to a minimum, which decreases the need to use harsh insecticides. We offer grass fed beef and all natural pork year round. Custom orders, grill packs, 1/2 hogs, and freezer beef are some of the items available. These animals are raised in humane conditions by our friends at two local farms. All of the humanely raised meat is processed at local USDA registered processors using no chemicals, added water, or preservatives. If you are interested in purchasing beef or pork, please send us an email.